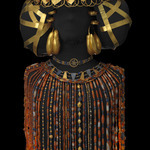 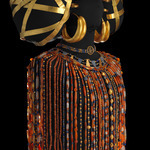 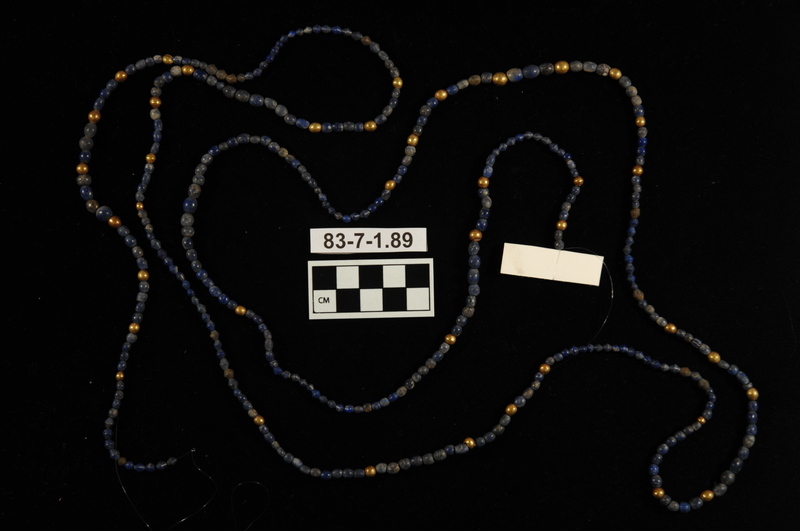 Cloak beads from the upper body of the lady Pu-Abi. 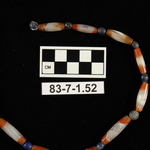 collar mad eof triangular lapis lazuli and gold beads and gold and lapis lazuli biconical beads. 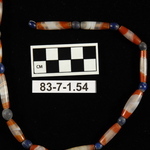 Four strands below collar of lapiz lazuli, gold and carnelian tube beads. 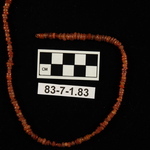 85 strings run vertically. 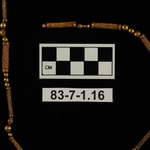 -NOTE in 2014. 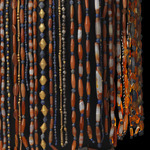 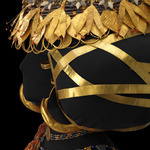 While recataloging the strands of beads, it has become clear that the cloak itself is 86 strands, which is already differing from the above description. 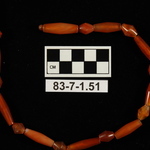 There are two "necklaces" that are described above, accounting for 87 and 88. 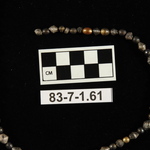 There is no indication what 89 was from the above description. 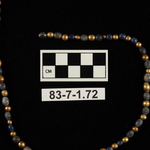 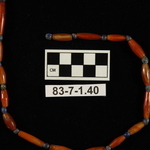 Its a very long lapis/gold strand, that might have been associated with the strands around the collar?